Thunderbirds Are Go puts Alan and Gordon on the front lines as they are sent to Jupiter’s Moon, Europa to rescue stranded documentary makers. This episode is fun for a lot of reasons. 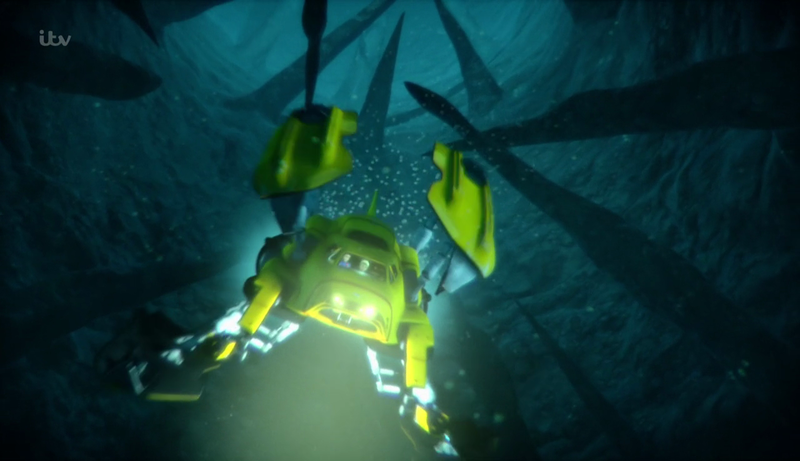 The first is that we get to see a rescue on another planet and the other is that we get to see Thunderbird 4. Sadly the little yellow submarine is seldom seen on this show so it’s good to have it in use considering it’s a personal favourite of mine. It was used in an unconventional way by having it operate as a sled on the icy surface. It’s something we haven’t seen before and it creates potential for the writers to find other unconventional ways to use the craft in later episodes. Though the attachments make it look a little too bulky and hide the ship a little too much. Nitpicky I know but it bothered me slightly. The premise of the mission is quite simple despite how far out they have to go to accomplish it. Buddy (Adam Hills) and Elle (Lisa Moule) Pendargast are fairly annoying characters who fall into the “idiots in danger mould”. It’s their own recklessness and stupidity that gets them into this mess so it’s hard to feel sympathetic towards them. Couple that with the fact that they’re a fairly standard attempt at humour that just comes across as obnoxious and their presence is a recipe for irritation. I know that this lack of sophistication can be dismissed as this being a show for children and I do accept that things might be a little more simplistic because it is aimed at young children. However, this show has been able to create some interesting characters and develop them well so when it doesn’t reach those heights it’s disappointing. I know that this show is capable of better. There was potential for interesting development when Scott mentioned that he wanted Alan to have more leadership experience. I expected him to have his leadership skills tested at some point and learn a valuable lesson but the moment never came. He did manage to think of a way out of the situation but that’s not the same as having leadership skills. Another opportunity was for him to pull rank on Gordon when he refused to help with the checklist that Scott gave him. The episode missed a trick on character development. 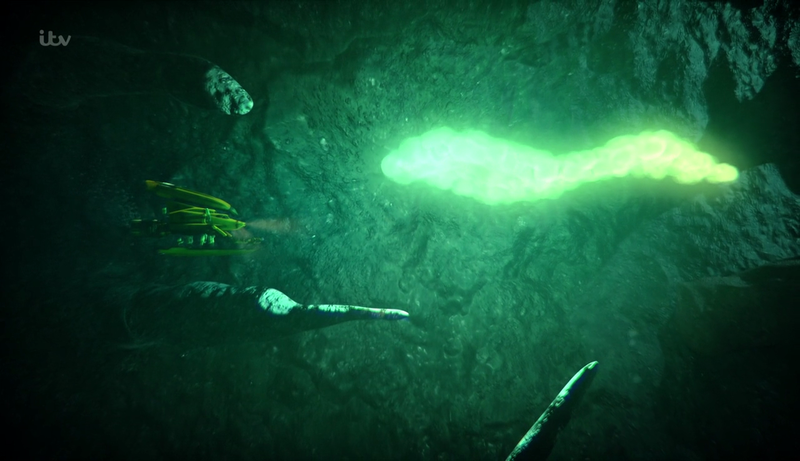 Visually the episode was as good as always with the alien lifeforms being particularly impressive. I am puzzled as to why discovering alien life wasn’t considered a big deal but they were impressive to look at. There were a number of exciting set piece moments that were great to look at so this show continues to impress in the visuals and creation of set pieces. A fairly dull episode that misses a great opportunity for character development. Enhancing Alan’s leadership skills was set up as a possibility in the early part of the episode and several opportunities to make that part of the story were missed. The characters needing rescued were also fairly irritating. As always the visuals and set pieces were impressively put together and the alien lifeforms were great to look at but it is puzzling as to why the discovery was considered to be no big deal.